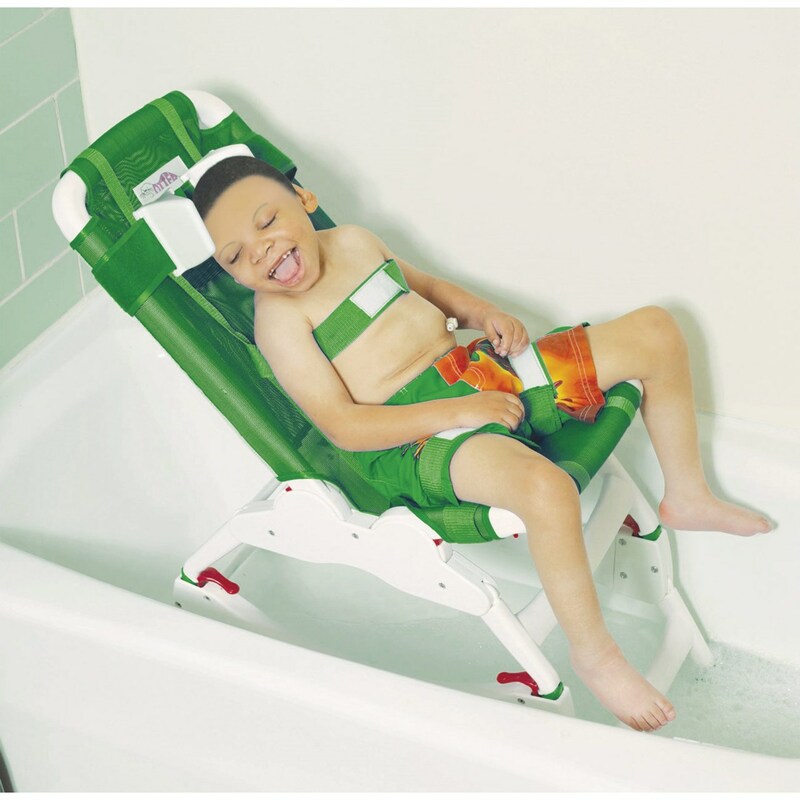 The Otter Bathing System is made with a strong plastic frame and seat fabric that can be slipped off to bathe a child sitting on the floor of the tub, supported by the bath chair back. Seat and back are angle adjustable and have five angle adjustments at 0, 22.2, 45, 67.5 and 90. 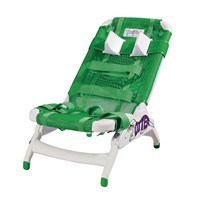 Adjustable slip-resistant legs raises chair have a 5 height range. Height can be adjusted with child in chair. 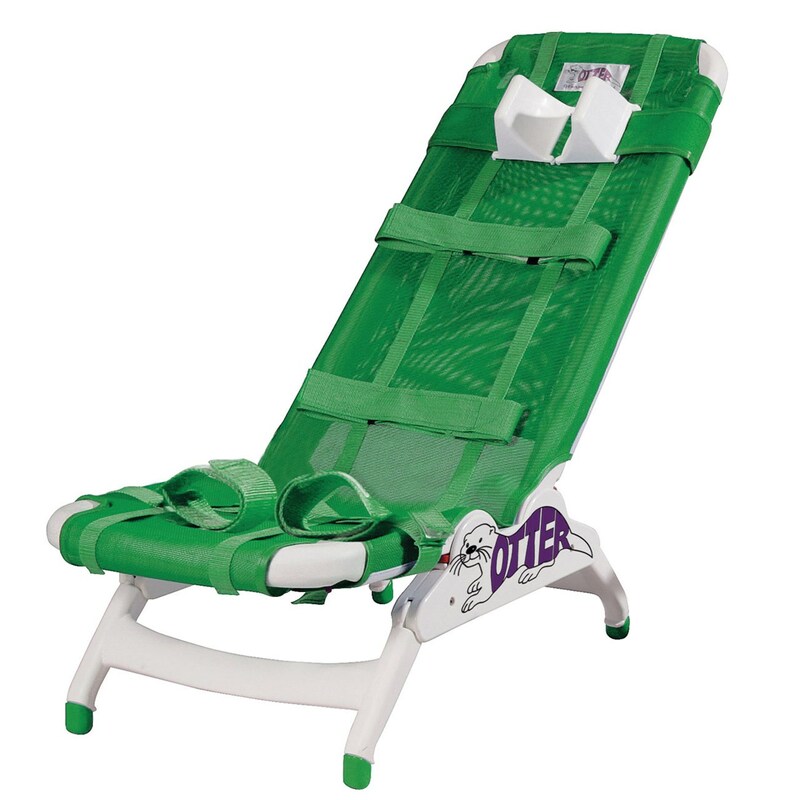 Leg straps control abduction and adduction. Two positioning straps secure child. Head cushions are height and width adjustable and provide support and comfort. They can also be used as lateral supports. Folds flat for easy storage. Fabric seat can be removed and machine-washed. 2 year limited warranty. Size: Large.